The funny Female Duffer Golf Trophy is a joke golf trophy featuring a frustrated lady golfer about ready to shank her ball and ruin her shot! 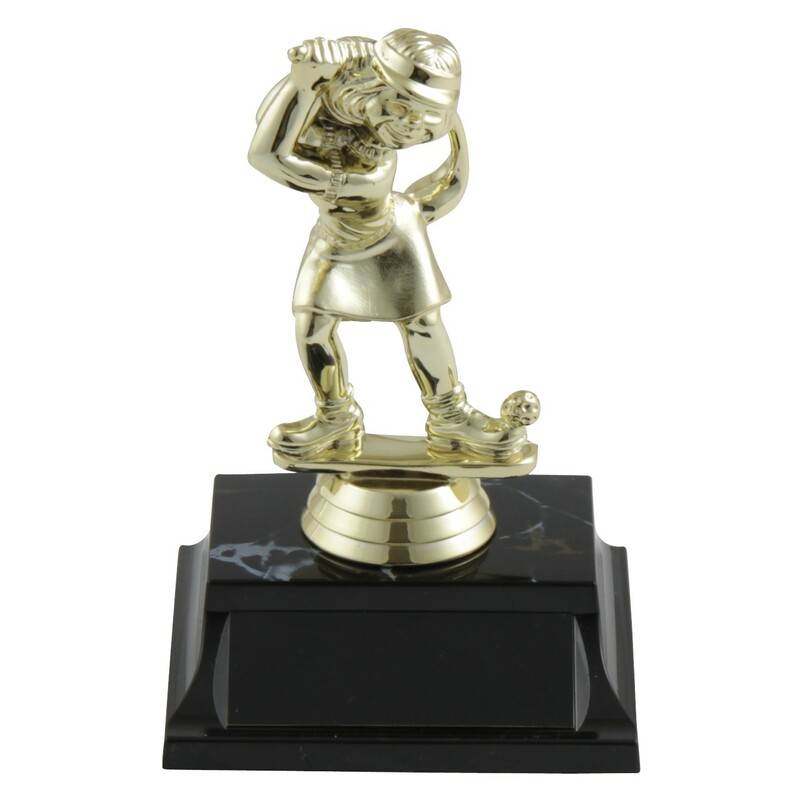 Attached to a shiny black base, this joke golf trophy is meant for the tournament 'loser' or clown and is sure to lighten the mood at any golfing event! Total trophy height is approximately 6 inches tall and includes 3 lines of personalized engraving. Find the Male Duffer Golf Trophy here! Or record your loser year after year with the perpetual Funny Duffer Perpetual Golf Trophy!